March came in like a lion and left like a bear. It’s cold here! The local weather guy says it’s the coldest March in 60 years. No kidding! Even though I have only been here for 17 of those years it’s usually flowering by now and serving up bike riding days. Instead we’re living life inside a snow globe and the flowers are shivering. I’ve broken out the bike a couple of times only and I’m itching to get back in shape and shed these pesky 5 pounds I’ve added over the winter. Fat be gone! 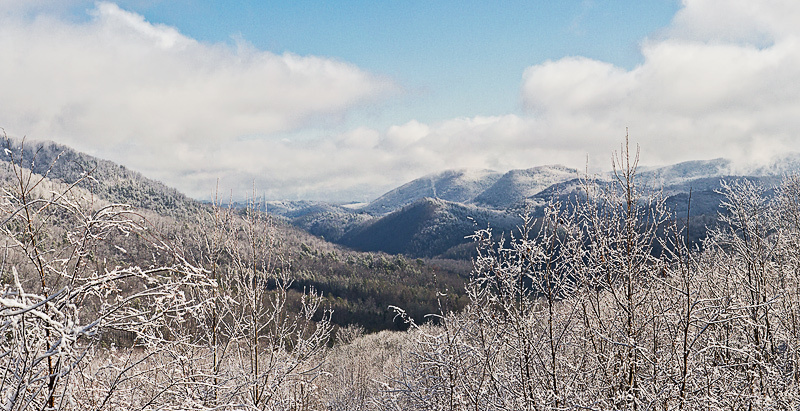 I’ve had to cancel 2 hiking trips to the Smokies. Enough! Here’s to the beginning of April! 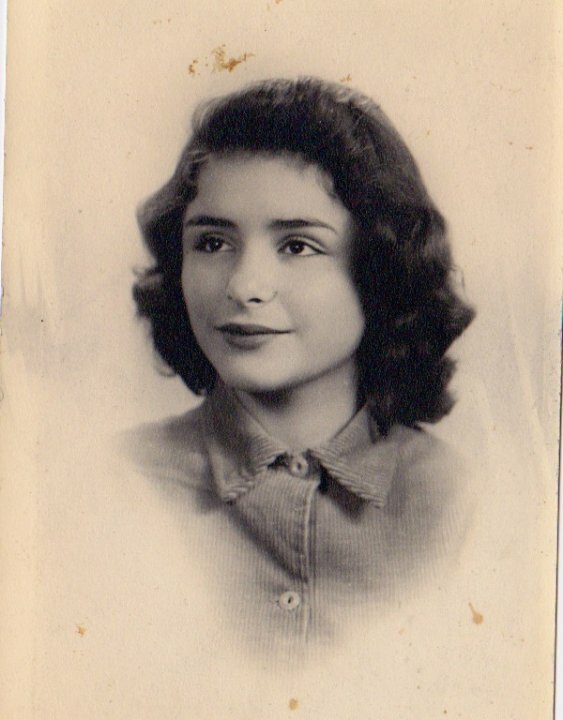 I’m writing this blog at the tail end of the month, on my mother’s birthday. 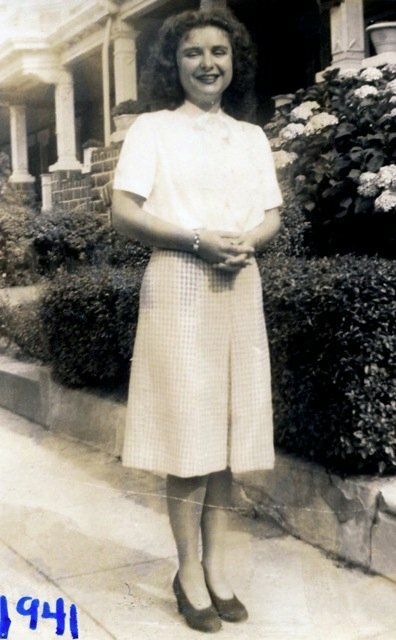 If she was alive she’d be 88 today but instead she died before the age of 70. It was such a long time ago that my nephew barely remembers her except to know that he was a little boy and that he loved the time they spent together. It’s fitting that I write this now since the bulk of March has been spent thinking about jewelry and she loved it as much as I do. 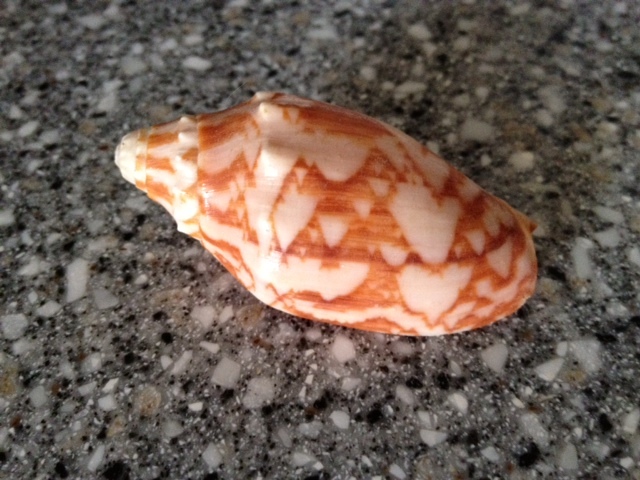 She also loved the beach and the ocean so the shell that comes out of the bowl, signifying another month lived, also makes me think of my mother. During one of my visits to the beach as a young 20 something, I bought a decorative bottle and scooped sand into it along with some shell fragments to offer as her souvenir when I returned home. She loved it and displayed that treasure on the window sill of the den where she spent hours staring out at the woods through the jalousied windows surrounding the room. Eventually we had to throw it away after many years of accumulating either mold or mildew inside. But it pained her to do it. 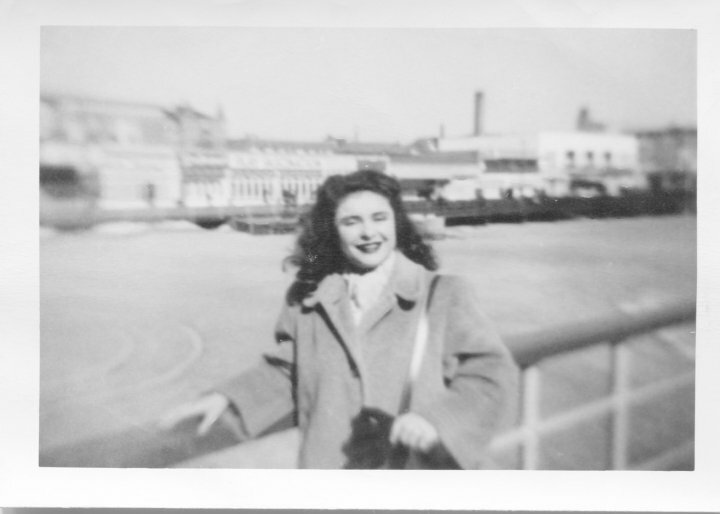 When she died I inherited a lot of her jewelry, mostly bracelets, all of which she wore together on both wrists. Every time she bought something new she chose an arm and added it to the collection. “They’re too hard to put on and take off,” she’d say, “so once they’re on they’re on.” I seem to have inherited her jewelry gene only I don’t wear everything at once and I take them off each day. 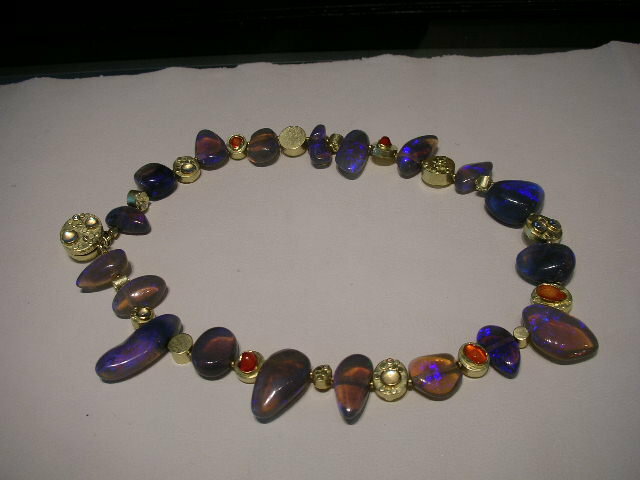 My mother would have lusted for the opal I bought a few months ago and I thought about her the whole time I mulled over how I wanted it set into a piece of jewelry. It’s among the most beautiful stones I’ve ever seen, and having worked for a jewelry shopping network I’ve seen many. 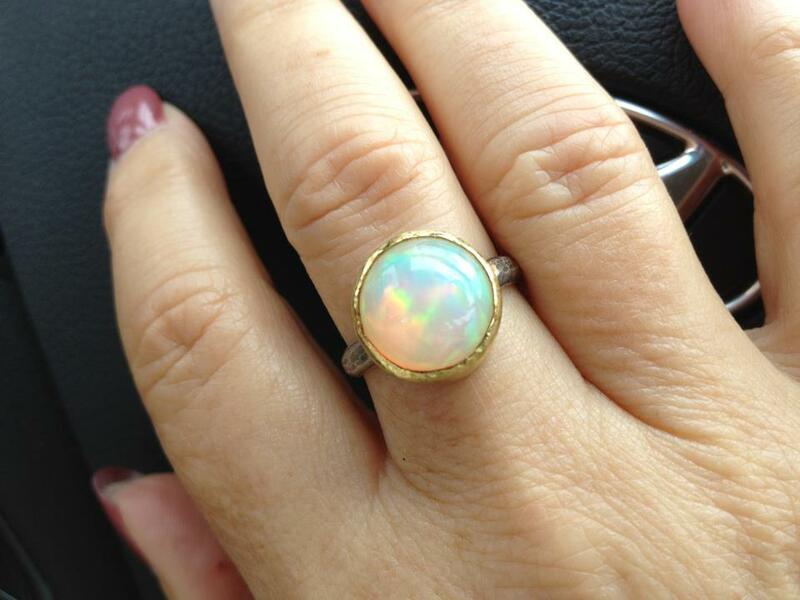 It doesn’t resemble the opal I had years ago as a kid. That had a blue-green hue to it with plenty of fire within. My father got it for me when I couldn’t tear myself away from the display case where it was showcased. I wore it constantly, carefully tucking it away each night. Evidently somebody else noticed it too and ransacked my room to find it. Out of the four bedroom flat I shared with three other friends, my room was the most torn apart and my ring was among the very few things stolen that day. It ripped my heart open and I haven’t owned a “real” one since. Believe me, I looked for just the perfect stone – for years. But the ones I loved I couldn’t afford and the rest were a milky white with barely a hint of fire. 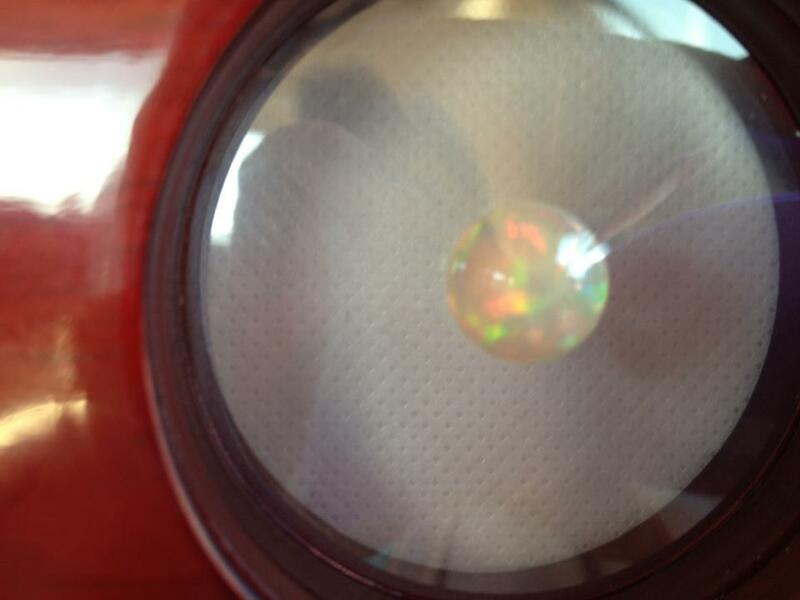 Then I discovered the Ethiopian opal. Actually I didn’t “discover” discover it, just picked up my jaw from my chest when I saw them displayed on air on Jewelry Television. They look like solidified gel with a raging fire inside. Rather mystical, actually, the way they look so fluid and appear to be lit from within. Because they’re so light you can get a sizable stone with a relatively low carat weight. As serendipity goes, a meeting inside Jewelry Television brought me face to face with a display case littered with one glorious opal after an other. My friend pulled a chunky round one out for me to admire – and that was Kismet. I was hooked and could not part with that stone. So I didn’t. I knew immediately it had to become a ring though that’s not wise to do. Opals are soft and can easily crack if they’re banged on something in the offhanded way we tend to use our hands and forget to pay attention. But this stone had to be placed in jewelry I could see and pendants are on display for others. I wanted it simple and in a humble setting that placed this fiery beauty center stage. A gold bezel setting would complement the fire within and a simple silver shank with a dark patina would give the two toned metal look that I prefer. And I believe my mother would be too. That was the bulk of March for me, a month memorably lived. Beautiful ring, Joyce. It looks like it may have magical properties! Feels that way! Thanks Lynn. Beautiful stone Joyce! 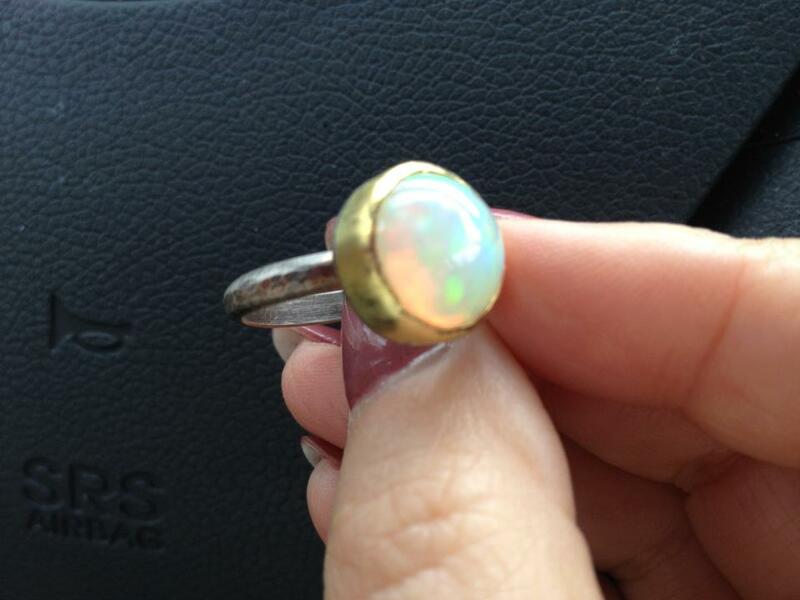 I, too had a very sentimental opal ring stolen that my mother had given to me. Wondering if I was in the same 4 bedroom flat that you were living in when your ring was stolen.